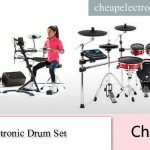 Electronic drum sets are a great way to enjoy the art and science of drumming minus the noise and the huge amount of space to set up a conventional kit. 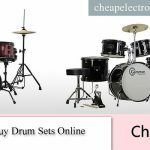 E-drums also has added features that you cannot get from an acoustic set like a built-in metronome, a wide selection of percussion voices, and MIDI connectivity that allows you to record your drum sessions with a press of a button. 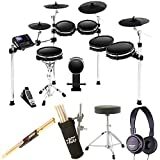 While electric drum kits aspire to replicate the sound of real drums, it also provides unique advantages to drummers with different skill levels. One of which is its easy setup. You also do not need soundproofing in your room. You just plug in your headphones and do your practice routines any time and practically anywhere. A brand new or used electronic drum sets can give drummers the versatility they need out from a kit. 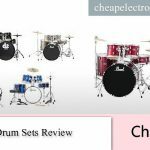 Some e-drums are expensive, especially those that are packed with features and those made by known brands. Buying second hand might be more practical for some. 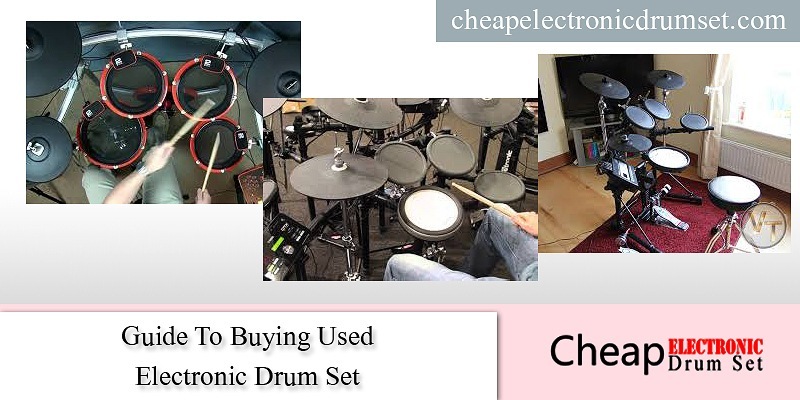 But how do you choose the best second-hand electric drum set? The first thing you need to consider is the quality of its build. Better known brands like Roland. Alesis have built up a good reputation of making more durable kits so even if you buy them used, you can still expect good performance out from it. This set is made by one of the best in the music world. The Yamaha DTX series is known for its high-quality sound and its ability to handle use and abuse by drummers. It has a 12” snare pad and 10” and 12” sensitive tom pads for the toms. With a total of 1, 115 percussion sounds you can create drum loops you can only dream doing in an acoustic set. It comes with a HEXRACK, a rock solid platform for the pads. It also comes bundled with Cubase AI. Recording with this kit is easy. This has a price tag of a Little bit high, but it can be bought cheaper when used. More details here. This kit has the DM10 high-definition drum module so that you will never run out of drum sound options, not to mention the quality of the percussion voices included in its database. It has the XL RealHead pads, and these are attached to Alesis XRack which makes this e-drum sturdy and very stable, even for hard-hitting drummers. It also has the dynamic articulation technology that allows you to change the timbre of the drums. This gives you a very realistic feel for every note you make. Its pads have mylar heads which makes it more durable while giving you the bounce and feel of a real drum head. This can dramatically improve your expression while playing this kit. The price difference is from the cost of hardware the previous owner added in the kit. This can still be a better deal as an upgraded set often sounds better. It also has added durability and usability due to additional hardware and software. More details here. This kit is a good purchase even when bought used, after all, it is a Yamaha set. It has a free iOS app for easy customization of sound, importing of songs and even downloading training programs. This has the XP80 3-zone snare pad that allows you to manipulate the snare in more ways including having the ability to produce rim shot sounds. The DTX502 module that comes with this set is known to be robust while providing you with 691 drum and percussion sounds. Not a bad deal at all since you still have to buy a kick pedal which is not included in the set. More details manufacture site. Buying a second-hand drum set must be done carefully. Here are some tips for you. 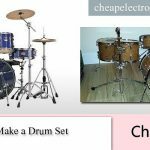 Buy from trusted sellers– even a kit that is known for its durability can still succumb to wear and tear, so you need a seller that is honest about the condition of the e-drum. Amazon is a good online store to buy second hand because it has a tried and tested buyer protection program that protects you from purchasing defective used items. This gives you the security you cannot get from buying used kits elsewhere online. Be particular of important details– how many years is the e-drum used by the previous owner? What are the issues the owner has with the kit? What is his reason for selling? These are only some of the questions you can ask the seller for you to gauge better if the kit is worth your money. 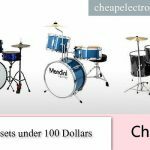 Be mindful of the brand– Leading e-drums makers like Yamaha, Alesis, Roland, and Drum make sturdy kits. The drum modules are more durable, the frames are more solid, and the pads are made from high-quality materials. Cheaper, unknown brands tend to deteriorate quickly with time. This is also the reason why the price is also a good basis to decide on your used drums purchase. You often get what you pay for. 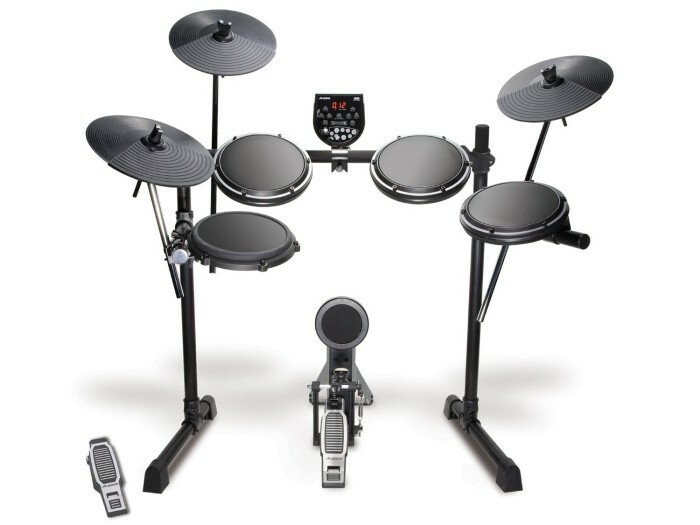 There is available used electronic drum sets online. Buying the best one takes research and finding the small details of the kit you are interested in. Which one is the best for you? 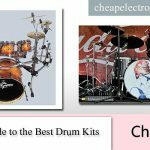 It all depends on your budget and the features you are looking for in a drum set. If you want a realistic drum experience, then you can go for Yamaha DTX 950K. If you are after easy recording, then the Alesis DM10X might be more suitable. Just keep in mind to buy into known brands. Durability and build quality is the key.